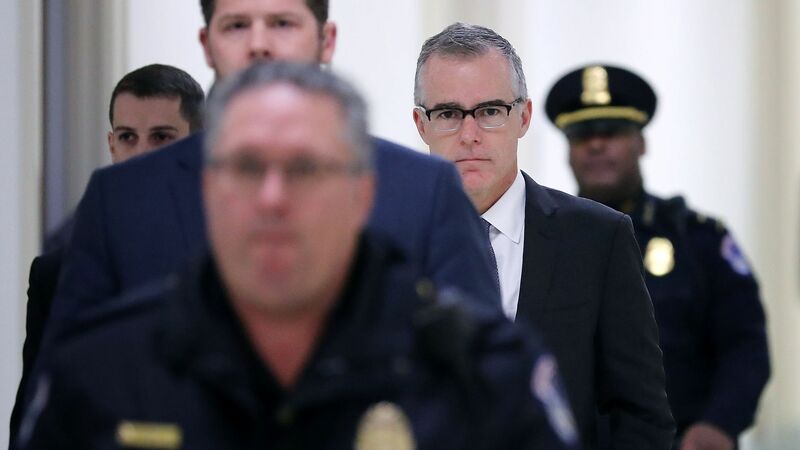 Former FBI Deputy Director Andrew McCabe is expected to be criticized in a forthcoming report by the DOJ's inspector general for authorizing confidential disclosures to the media, per the NYT. The incident specifically focuses on a 2016 WSJ piece — for which McCabe allegedly allowed FBI officials to provide information — about internal tension at the FBI over the investigation into Hillary Clinton's emails. Why it matters: Though the incident had nothing to do with the Russia investigation, McCabe spent significant time working on that investigation as well. Any impropriety by McCabe in the Clinton investigation will provide fodder for President Trump and his Republican allies to further muddy the waters surrounding Russia — and DOJ's Mueller probe — by alleging "deep state" interference.